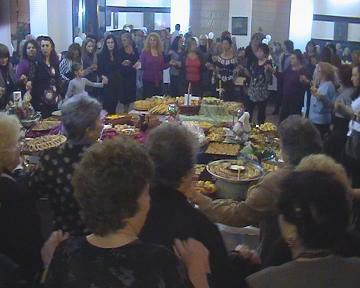 Introduction and presentation of the preparation of the traditional dishes from the different nationalities and religions living in Tetovo. These kind of an activities were presented on the first „Multiethnic crafty women“ event organized by the Association „Crafty woman“ from Tetovo. A Macedonian, Turkish, Albanian, and Orthodox Christmas table was set on display.